Not related to witchcraft in any way but, tomorrow Summer Games Done Quick 2016 starts and I know a lot of people on here like video games so I thought I would let everyone know about this wonderful charity event! 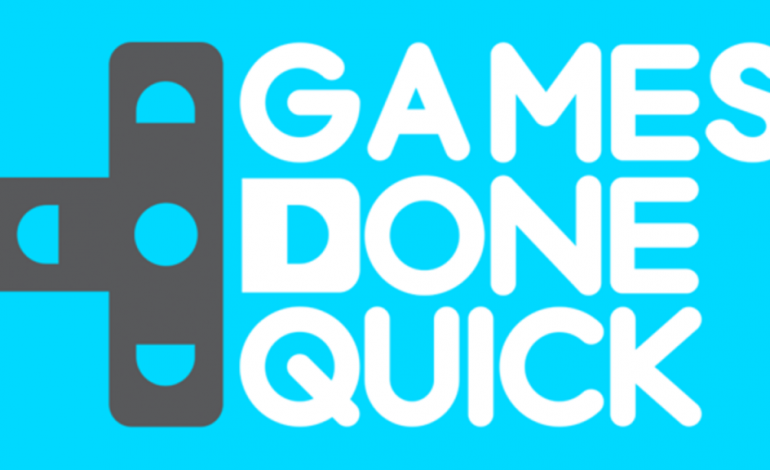 SGDQ/AGDQ (Awesome Games Done Quick - SGDQ's winter variant) is a week long, 24 hour live stream of famous speed runners playing everything from classic favourites to indie games both new and old for different charities! While the runners are playing people can watch for free on Twitch , subscribe to the Twicth channel for $4.99 or buy a t-shirt from The Yetee for $3 or you can donate any amount here to support Doctors Without Borders! If you're interested the schedule, which includes all the times of each game that's going to be run and the runners running them, can be found here. If you aren't interested then maybe you know someone who is and can share the links? In any case, it's a great cause and I just wanted to spread the word, to those of you who took the time to read through this and maybe even share the links or donated, THANK YOU! ok, this blows my mind, 1st off YAY for charity!! though gotta say, the absolute most boring thing for me personally, besides watching paint dry, is watching other people play video games...seriously. if i am going to do any thing video game wise? the controller will be in MY paws!! hope this works out n they raise alot of $. not for me, but i am sure others might get a kick out of it..so..GOOD LUCK to ALL!! Actually, I recommenced everyone take a look at it. If you aren't familiar with the terms "speed running" or "any%" they basically mean you play the games as fast as possible using game breaking mechanics. This means that instead of "watching someone else play a video game" you're watching somebody break the video game, potentially skipping levels, flying through walls, playing the game in a random order of events or even giving your character crazy powers while only using glitches found within the game! So far we're up to $103,281 and we're only about 18 hours in!